For those looking for something with a bit more class and character than a Volkswagen Golf GTI, Alfa Romeo may have the answer in the Giulietta Cloverleaf - but only if you live in Europe. It&apos;s easy to forget, when looking at the Giulietta, that Alfa makes a serious performance version of the car along with the ordinary mainstream version. The car is just so much prettier than you ever imagined a hatchback could be that such technical details tend to fall by the wayside. But the Giulietta Cloverleaf (or Quadrifoglio Verde, if you prefer) is not only very pretty, it is also serious competition for the VW Golf GTI in more ways than one. The name Giulietta is actually quite an old one for Alfa Romeo. The model was first introduced in 1954, and several different body-styles were offered, including a station wagon with the name "Weekendina", which rates high among the weirdest vehicle names of all time. This is rivaled mainly by the other small run of Giulietta wagons produced under the name "Promiscua". One really has to wonder about Alfa sometimes, but at least they&apos;re always entertaining. The original Giulietta stayed in production until 1965, but was later revived in 1977 as a small sedan. This lasted again until 1985 and was reborn most recently in 2010. The car is now a hatchback, serving to replace the 147, and it is even prettier than the outgoing model. As for the "Cloverleaf" part of the name, this has an even older history with Alfa Romeo. Legend has it that an Alfa racing driver named Ugo Sivocci had gotten tired of always coming in second, and for the 1923 Targa Florio, he put a green four-leaf clover on his car for good luck. He not only won in 1923, but Alfas wearing clovers went on to win the race five years in a row. The badge became a tradition with Alfa race cars, and it eventually made its way to its road cars and now denotes range-topping performance trims of various models. For the Cloverleaf version of the Giulietta, Alfa has given the car upgraded brakes and suspension and a unique set of wheels. The interior comes with a lot more standard equipment than the base model, although it&apos;s really quite a nice cabin in all forms. There&apos;s also a 1.75-liter turbocharged engine which produces 232 horsepower and 251 lb-ft of torque. The power is sent to the front wheels via a six-speed manual transmission for a 7.2-second 0-60 time, making it slightly slower than the VW GTI, but by less than a second. As is always the case, a margin that close will come down largely to the driver - especially with a stick-shift. We may not have the Giulietta in the US, but in the UK, the prices of the two cars are within £100 of each other. One might find that the VW would be the more reliable car, but the Giulietta&apos;s build quality is notably better than what has previously been associated with Alfas. Top Gear magazine even went so far as to say this is quite possibly the best car that Alfa Romeo has ever built in its 100+ years of existence. The comparison to the GTI is no mistake; the car is deliberately positioned so that people who are thinking about a GTI but prefer something a little different - something with a bit of an Italian accent - will consider the Alfa. This is what makes the top-level Giulietta so excellent. It has everything a hot hath is supposed to have. It&apos;s eye-catching as well, but unlike the DS3 Racing, it doesn&apos;t have to try so hard to do so. It just looks good. As a result, the Giulietta QV presents a compelling choice for a buyer who may be a little older, with more refined tastes than the typically younger hot-hatch enthusiast. Don&apos;t mistake refinement for lack of performance credibility, though. The Italians all about combining the two to delicious effect. Just ask Alfa&apos;s sister companies in Modena and Maranello and they&apos;ll tell you all about it. 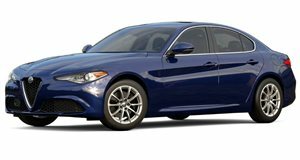 The Dodge Dart now shares a platform with the Giulietta, but there are some important differences between the two cars. Apart from the obvious difference in body styles, the absence of a performance version of the Dart means that the US market is unable to experience the full potential of the platform. While the planned upcoming Dart SRT4 will surely be highly entertaining, we can&apos;t help but think we&apos;d rather just have a Giulietta Cloverleaf.